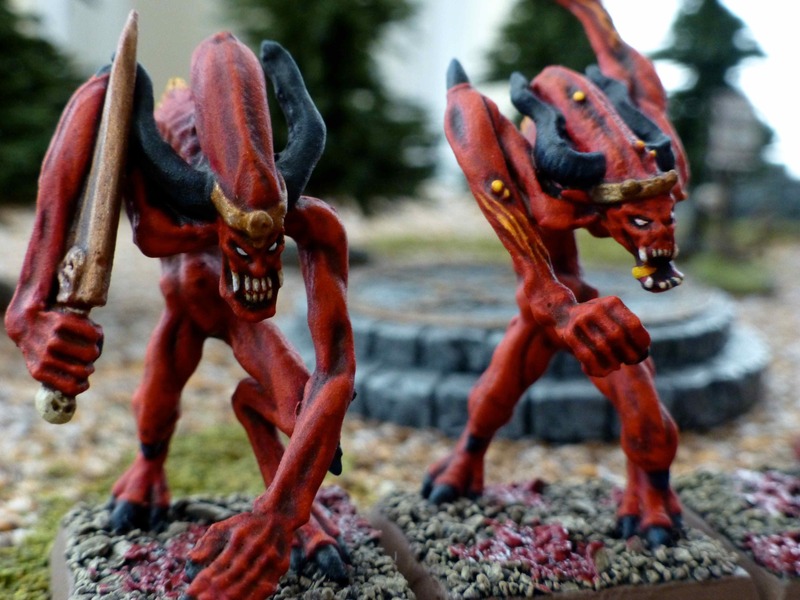 Driven by searing rage, a pack of Bloodletters hacked their way through the barriers of reality at an unguarded summoning circle. 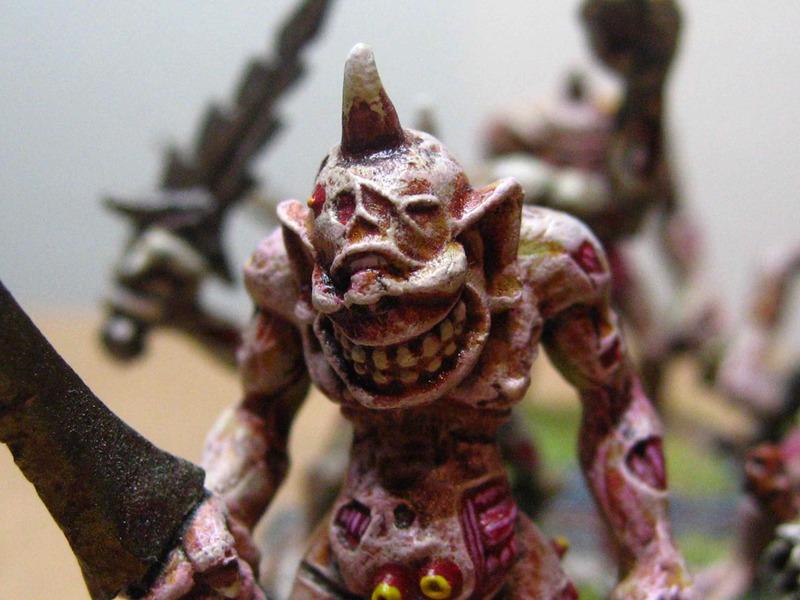 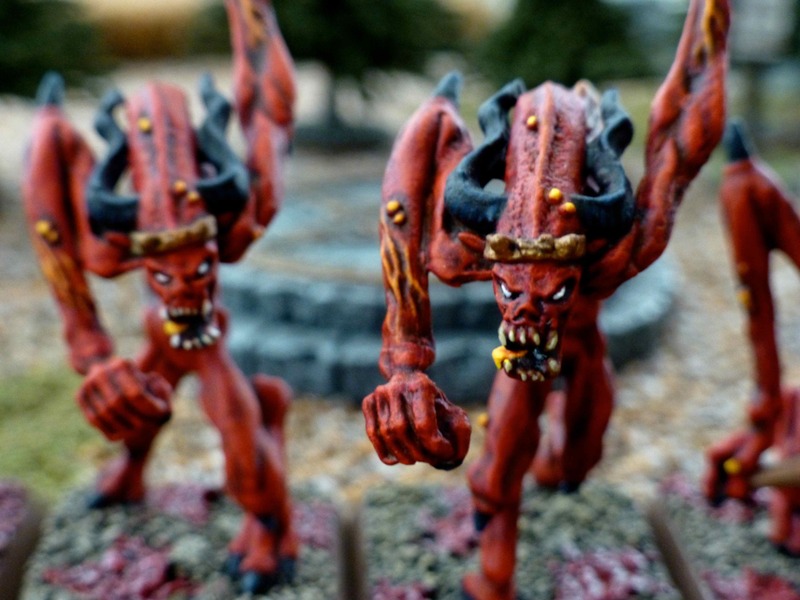 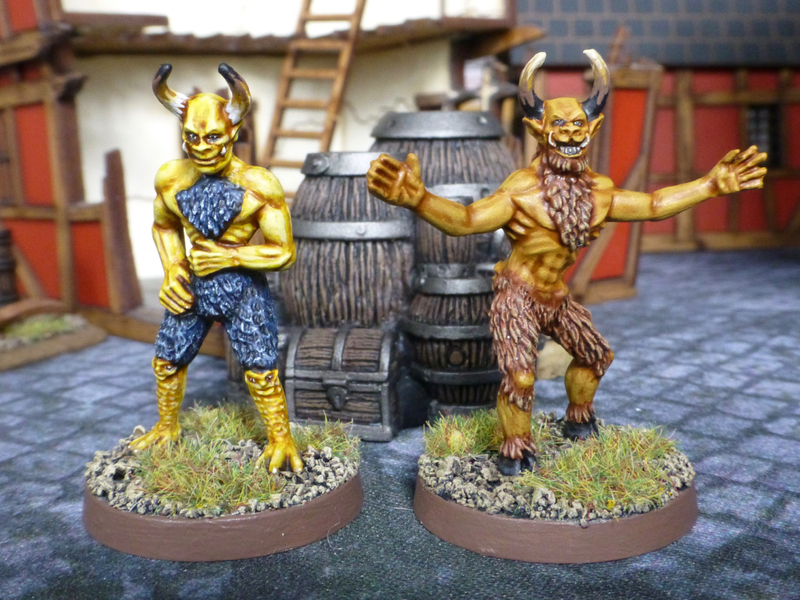 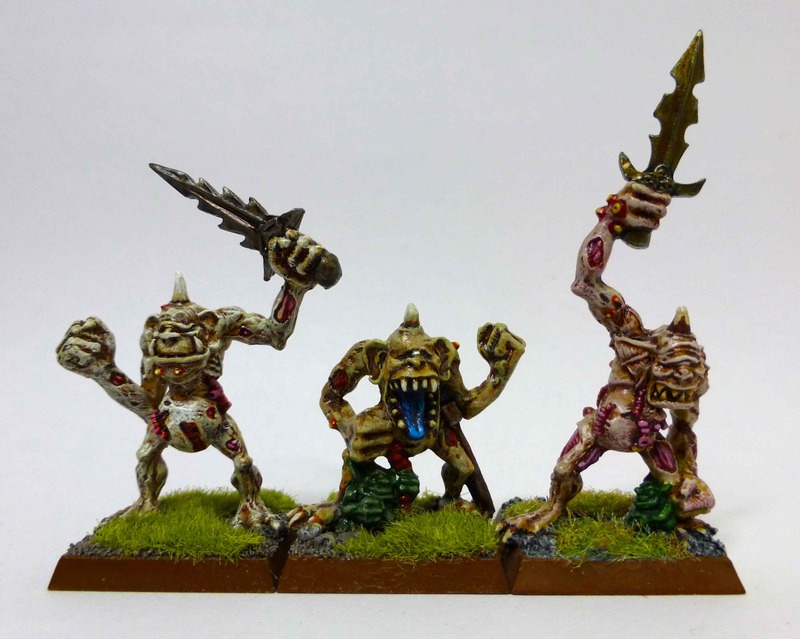 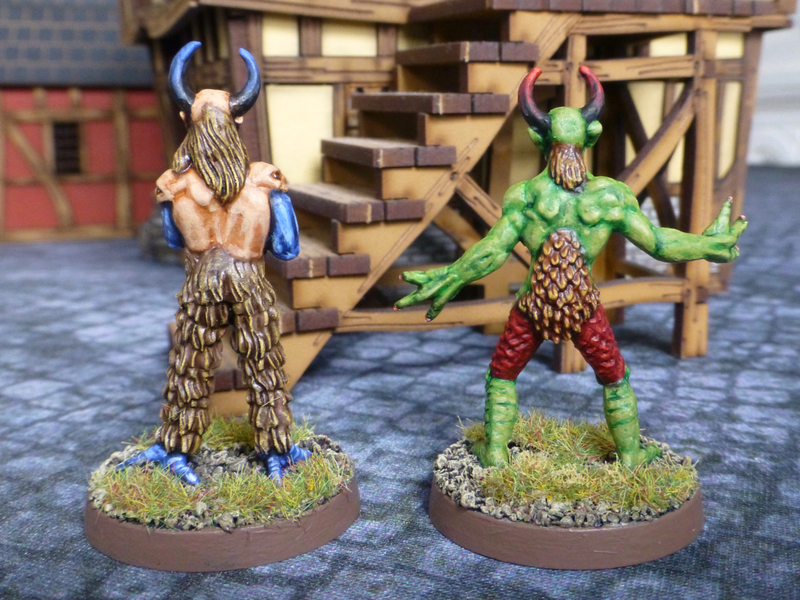 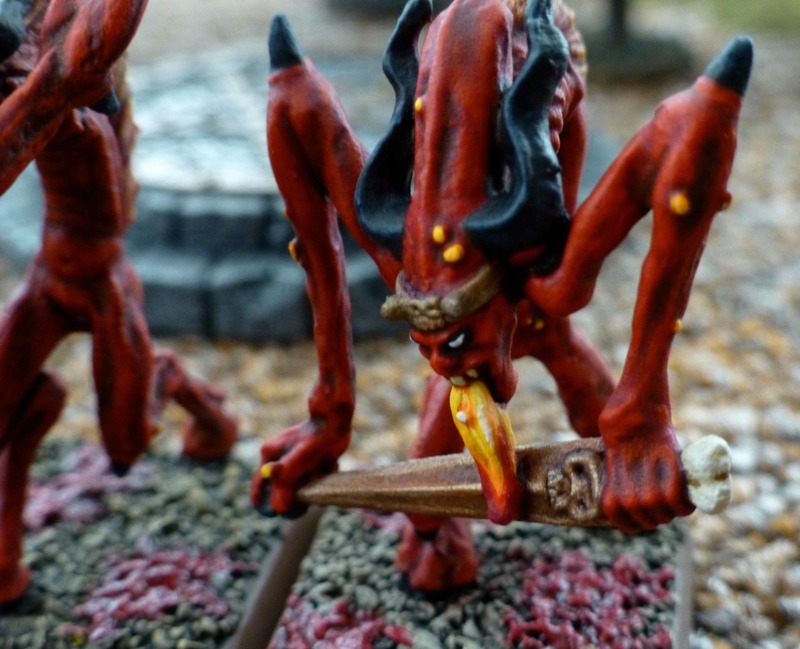 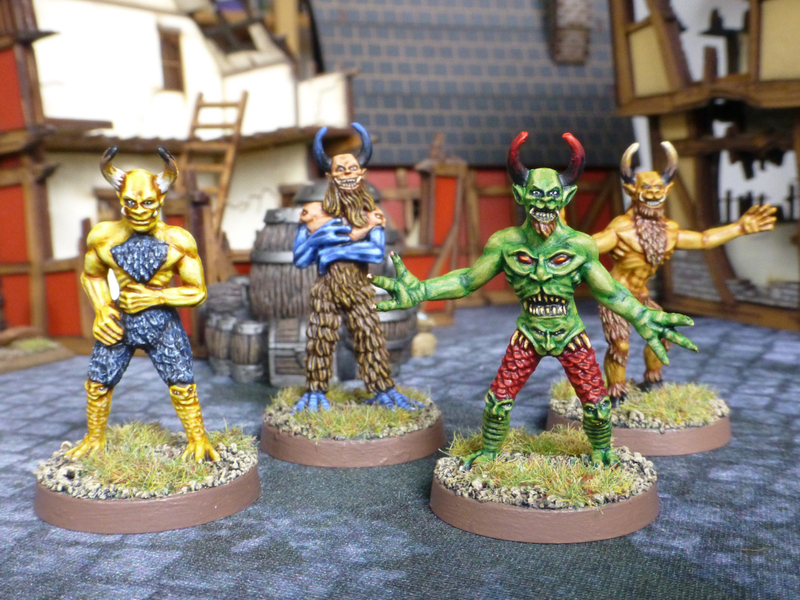 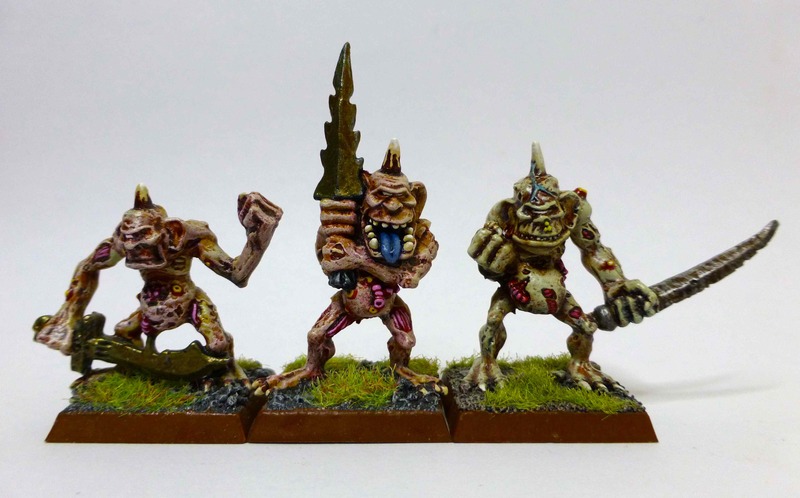 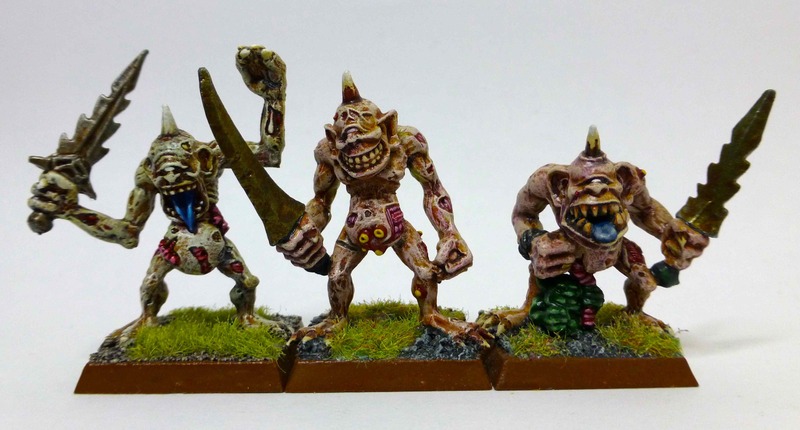 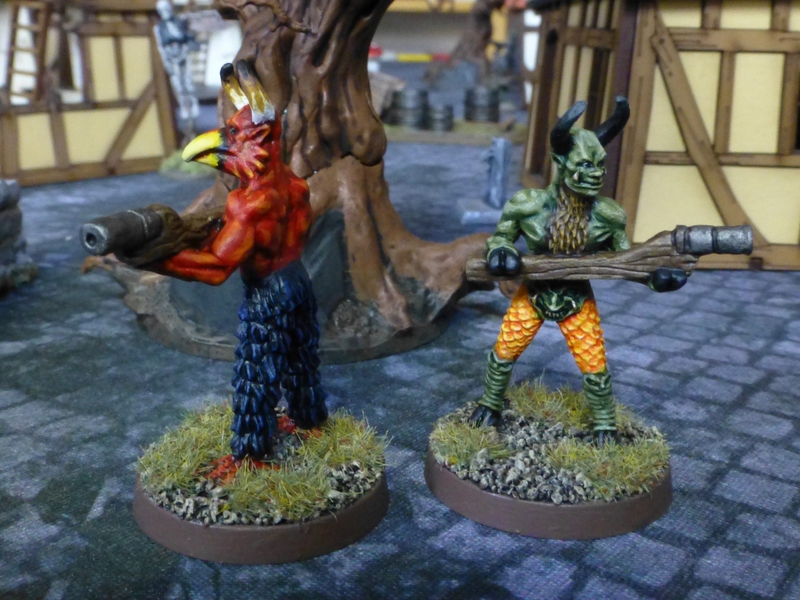 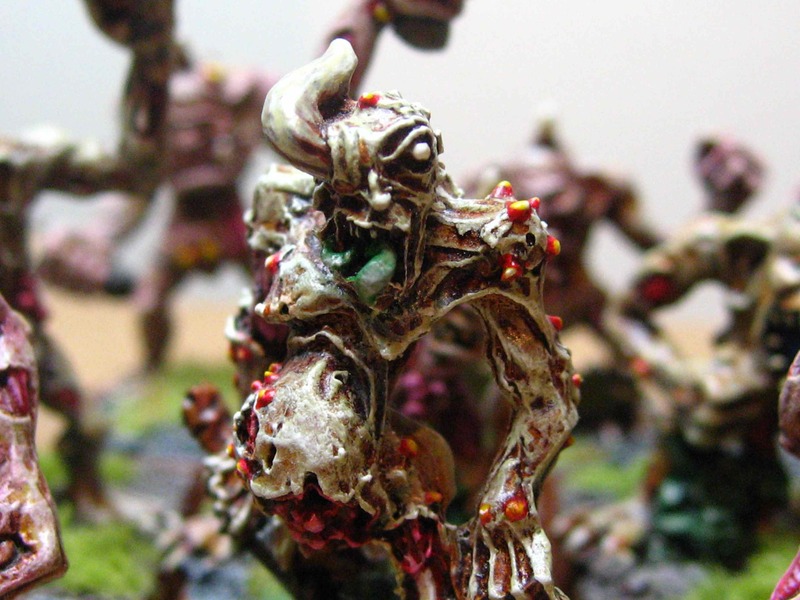 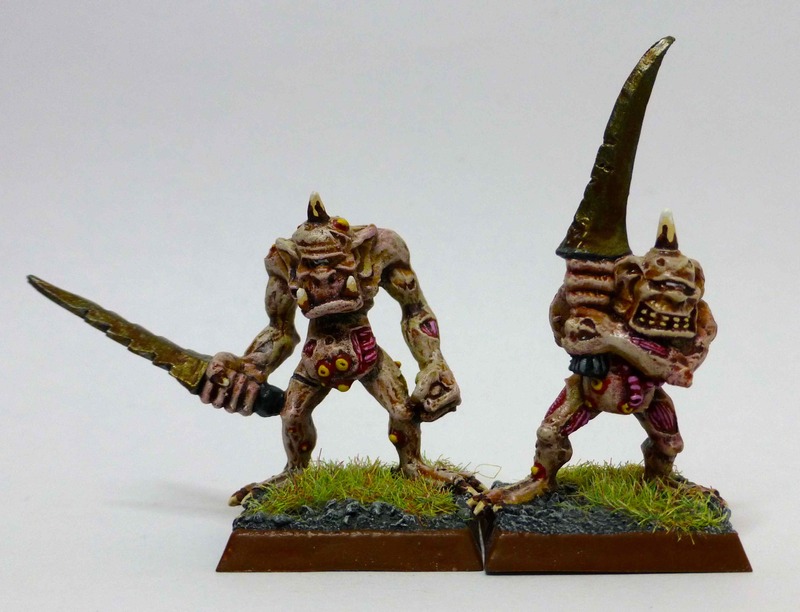 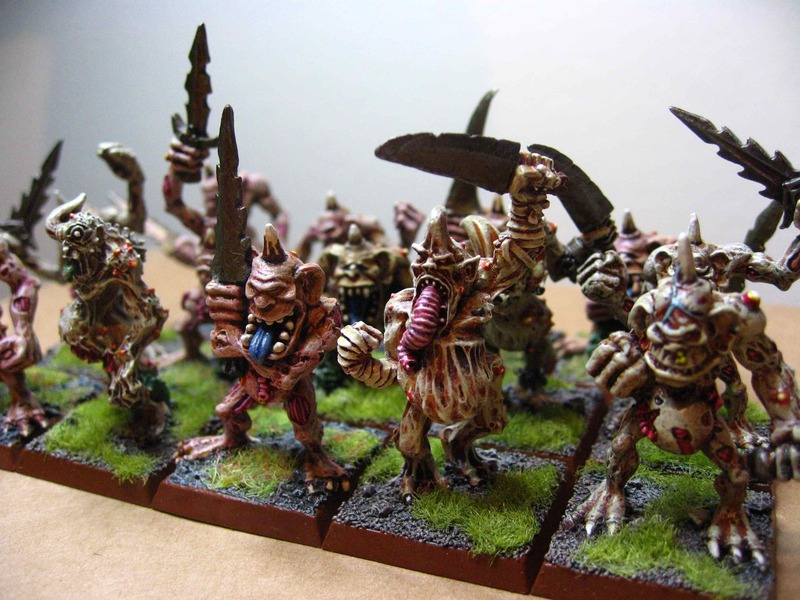 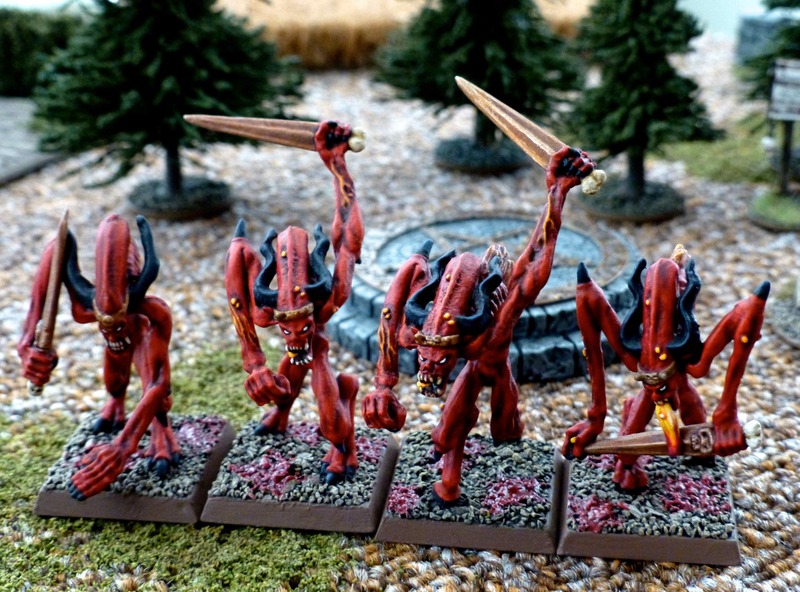 I’ve only got a small contingent of Khorne Demons for Oldhammer – four Bloodletters and four Flesh Hounds, making eight in total, so I hope the Blood God will nevertheless be pleased. 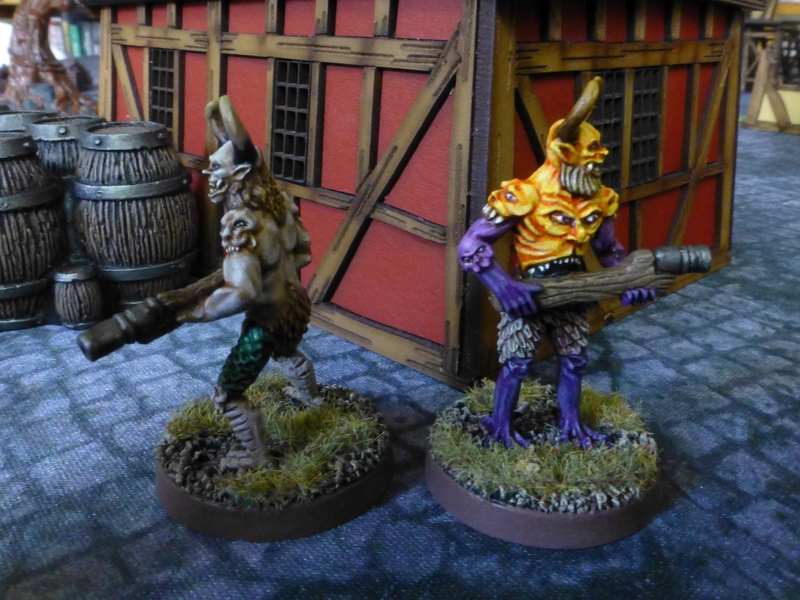 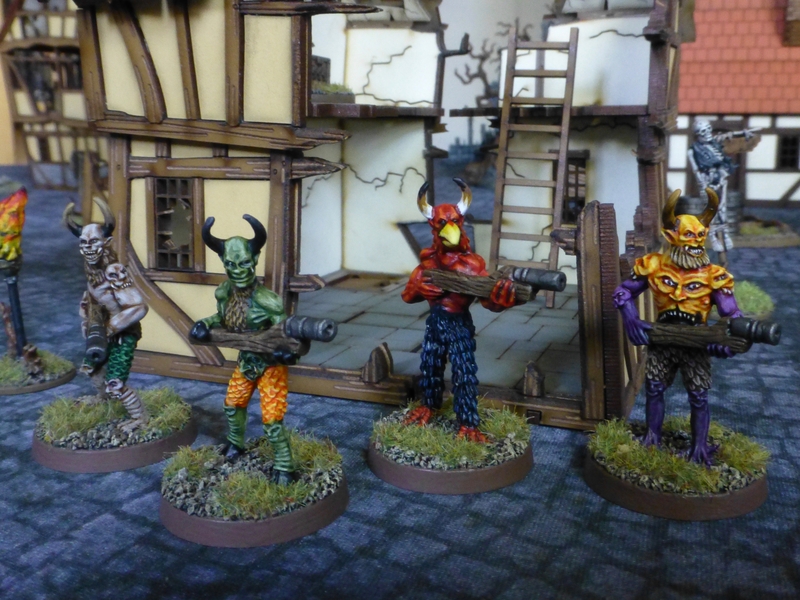 Enough in any case for a skirmish scenario or to be used in the hands of a diabolical Games Master!